So what changed with this new chart? The new ‘Dates for Filing Applications’ chart has made it possible for immigrant applicants to file their immigrant applications much earlier than they could previously under the old ‘Application Final Action Date’ chart. This however does not mean that applicants will receive their permanent resident cards before an immigrant visa becomes available. USCIS made it clear that according to this new chart, applications for permanent residence will not be adjudicated until an immigrant visa is available. The problem with this dual chart system was that when it was initially introduced in September 2015, DOS had overestimated the number of available visas and USCIS workload to handle the influx of new immigrant applications. Only two months after the new chart had been introduced DOS revised the chart changing the dates which appeared on the new chart drastically. 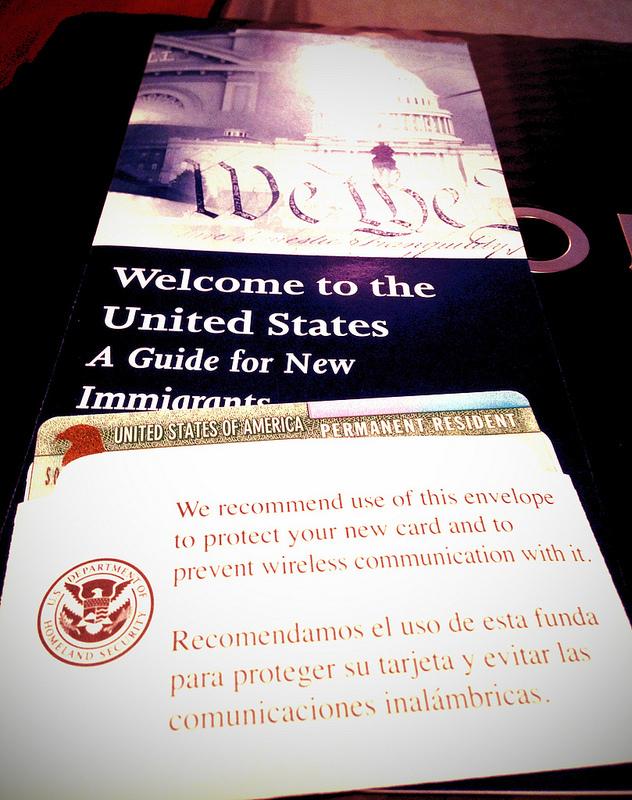 In addition, a disclaimer appeared instructing applicants to refer to the USCIS website for further instructions on which chart could be used. The end result was that applicants could not make use of the ‘Dates for Filing Applicants’ chart as was originally intended. How do I know which chart to use? To avoid any confusion, USCIS has maintained a website which tells immigrant applicants which chart may be used for the purposes of filing their immigrant applications. Just as the availability of visas changes each month, the chart an applicant may use is also subject to change each month. The USCIS website is updated within a week of the publication of each month’s visa bulletin. This website provides applicants with very useful information in regards to visa availability for each fiscal year, and most importantly announces which filing date chart is enforceable for that particular month. 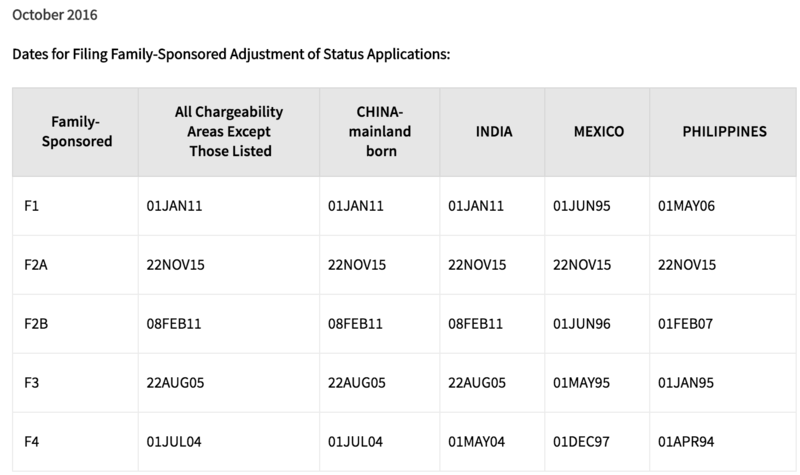 If DOS and USCIS determine that there is availability for immigrant visas in these categories, the website will indicate that applicants may use the ‘Dates for Filing Applications’ chart, instead of the ‘Application Final Action Dates’ chart. It is recommended to always refer to the USCIS website, in order to determine which chart you may use and whether you can proceed with filing your application for permanent residence. For the month of September USCIS has indicated that individuals seeking adjustment of status on the basis of family-sponsorship may use the ‘Final Action Dates’ chart in the Visa Bulletin for September 2016. Adjustment of status applicants applying on the basis of employment may also use the ‘Final Action Dates’ chart in the Visa Bulletin for September 2016. For the month of October however, USCIS has indicated that individuals seeking adjustment of status on the basis of family-sponsorship may use the ‘Dates for Filing’ chart in the Visa Bulletin for October 2016. 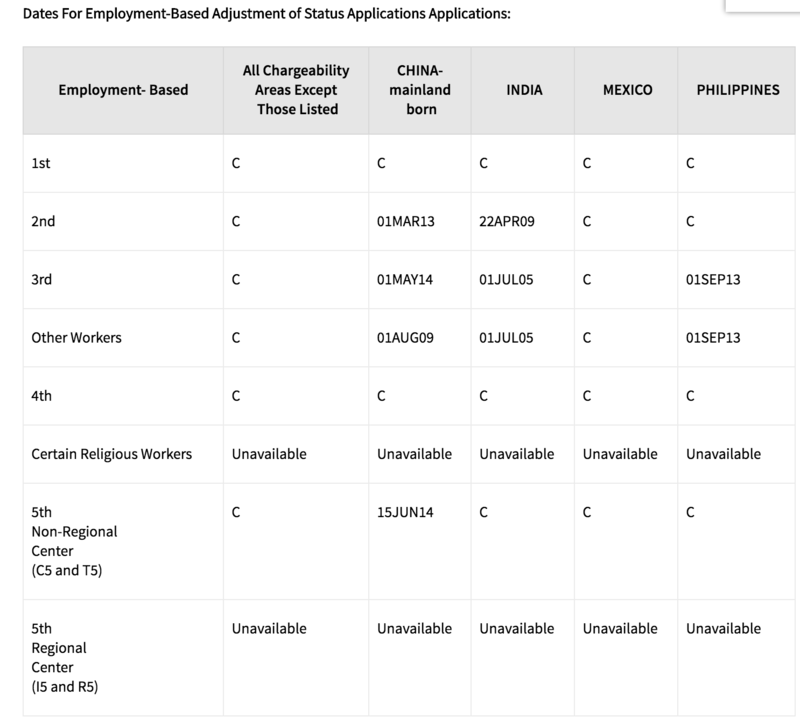 Employment-based adjustment of status applicants may also use the ‘Dates for Filing’ chart in the Visa Bulletin for October 2016. For Expiring Employment Visa Categories, applicants may use the ‘Final Action Dates’ chart in the October Visa Bulletin. Please note: If plan to file from the United States, you must apply for adjustment of status with USCIS. If you are outside of the United States, you must file your immigrant visa application through a U.S. Consulate. This will require you to submit documents to the National Visa Center who will then forward your immigrant visa application to the U.S. Consulate near you. To view the October Visa Bulletin please click here. For more information on other visa types please click here.